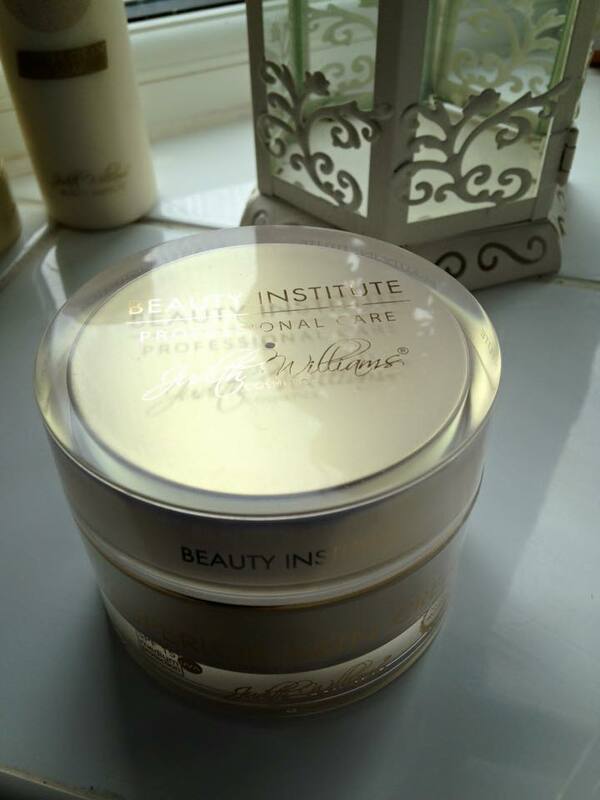 Judith Williams Beauty Institute – Brand new product launch! Today I am excited to share with you the highly anticipated product launch of some new items from Judith Williams Beauty Institute. 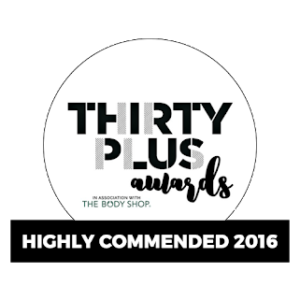 Packed with Highly Active ingredient combinations, these really work to give you visible, targeted, anti-ageing results. If you suffer with problematic skin, skin that is oily or acne prone, then this is a great range for you. If you suffer from dry and very sensitive skin then I would suggest Judith’s Future skin Range HERE. *PURE SKIN CLEANSING POWDER – Yes I said powder! Wow! Have you ever tried one before? This was definitely a first for me and the results are beautiful. Squeaky clean, smooth, fresh looking skin! A very mild, gentle and easy to use cleansing powder, it is well suited to delicate skin of every type, Great if you have thinning skin or aged skin that needs extra care. Ingredients such as Lady’s Mantle extract and Laricyl Complex, moisturise and soothe the skin. I tapped a small amount ( about a 10p size) of this beautiful powder into the palm of my hand, added just a little warm water and mixed it to a beautiful, soft, lather. I then applied this over my face, neck and décolleté using my hands and gently rubbed in. I used a damp cloth soaked in warm water and gently wiped the product away. Wow, the amount of grime and make up removed was unbelievable! You can also try double cleansing with this if you have been travelling or wearing lots of make up for a real full on treatment cleanse. My skin really was left squeaky clean and healthy looking! Really impressed! 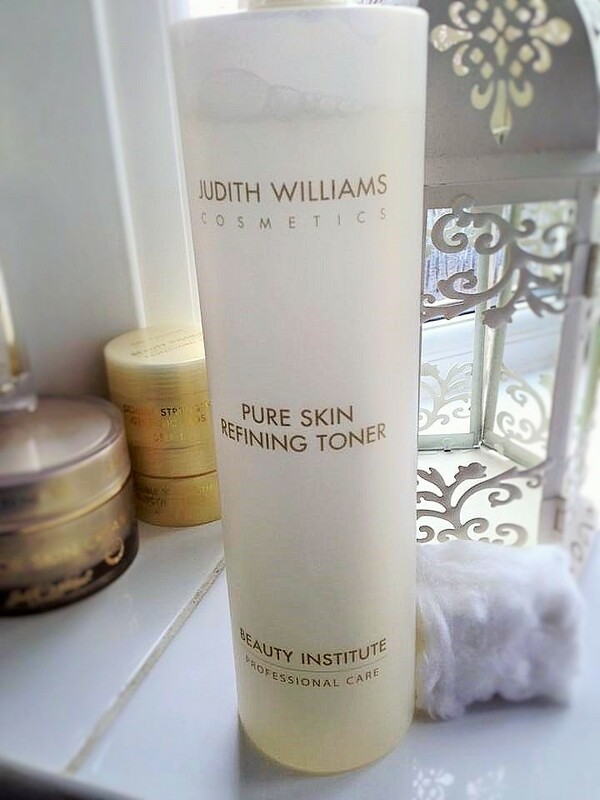 *PURE SKIN REFINING TONER – After cleansing I followed on with this beautiful, light Toner. When I heard that It was great for reducing pores, I was thrilled to try it. As I am getting older (40 now!) I have noticed that, as good as my skincare and exfoliating routine is, my pore size around my nose and a little on my cheeks is increasing. 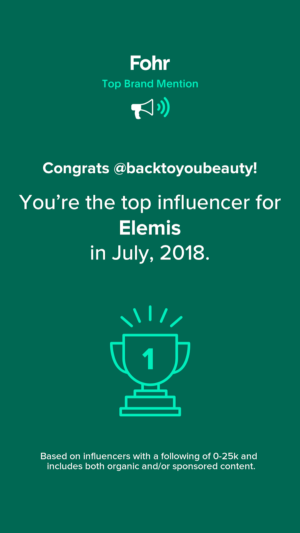 So this is something I really want to focus more on with my skincare . The toner smells lovely, it reminded me a little of baby powder, a real comforting, light, fresh scent, and as I do not really use toners, it was a pleasure to try. This huge 500ml bottle of toner contains anti-bacterial, innovative, active formula’s to refine those pores and balance the skin. I dampened a cotton pad with toner and used after cleansing over my face, neck and décolleté. Top Tip..If you want your product to go further, Judith Suggests dampening the cotton wool first with water, then adding the toner. This left my skin looking and feeling fresh, bright and ready for moisturiser. Can be used both morning and evening avoiding the eye area. *DOUBLE STRENGTH GLYCOLIC PADS – This box set contains two tubs of products, containing 30 pads each. Each jar is labelled as either step 1 or step 2 with clear instructions of use on the back of the box. This is a professional anti-ageing, anti pigmentation treatment that you can easily do at home. If you really want firmer, smoother and fresher looking skin with reduced looking pores and pigmentation, then this could be the way for you to go. This is a product to use of an evening as your skin will be extra sensitive to the sun, you must also ensure you do not use any alcohol containing products straight after. At night, wipe a STEP 1 pad, containing 8% concentration of Glycolic acid with calming Witch Hazel, to stimulate the skins renewal process and refine those pores. Swipe the pad all over clean, dry skin until the pad feels dry and the product has been used. Then wait at least two minutes and follow with the STEP 2 pad. This really is a step up from your usual skincare regime and will deliver amazing results. 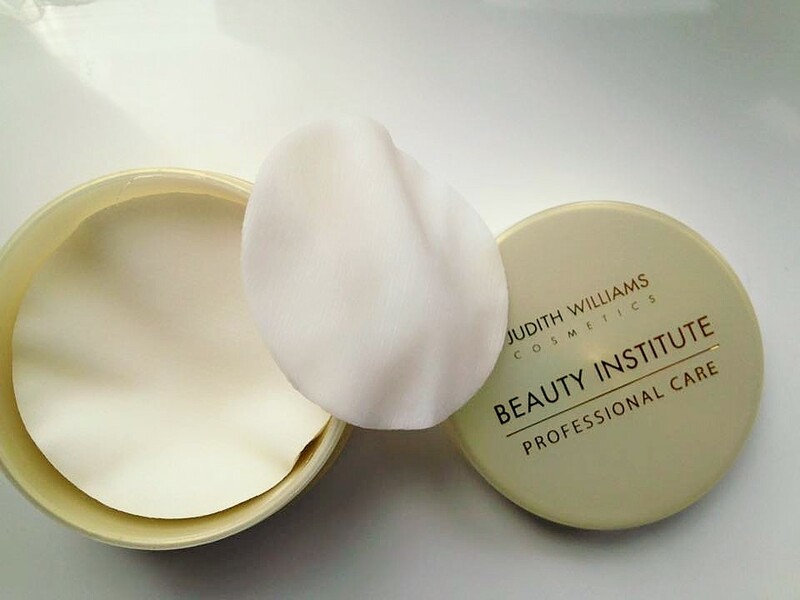 The pre-soaked pads have special anti-ageing ingredient’s in to give a fresh and even complexion. Do exactly the same with pad number two. Do not use this product in conjunction with the above Toner as the toner contains an alcohol preservative so the two cannot be mixed. Use this as a twice weekly treatment. 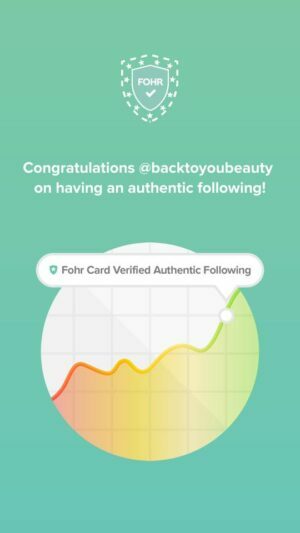 The pads contain a lovely amount of product so you will have enough to do face, neck and decollete as I did, pleasant, not too cold, quick and easy to use. I did at first feel a slight tingle on application, which is normal, and the results were amazing, however, as I am prone to dry skin, and this is a deep level of exfoliation, I needed lots of moisturiser after. As stated above, this range is more suited for Normal, oily or problematic skin, not dry/sensitive, and I believe the results you will achieve will be amazing. 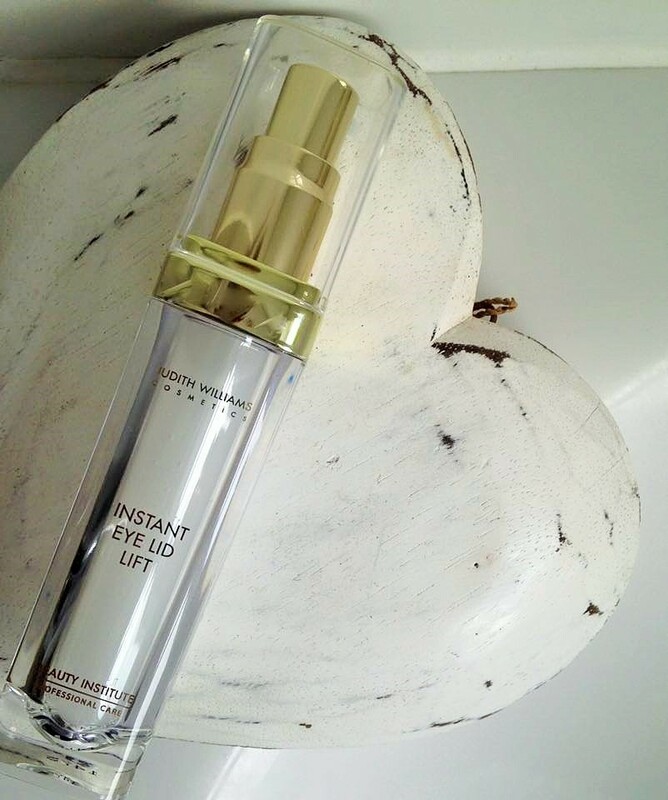 *INSTANT EYELID LIFT – Firstly can I just say how beautiful the bottle of this product is! I know its all about what is inside but all of the containers in this range are so pretty and would look fabulous on any dressing table. The bottle contains 30mls of a gorgeous eye tightening serum. 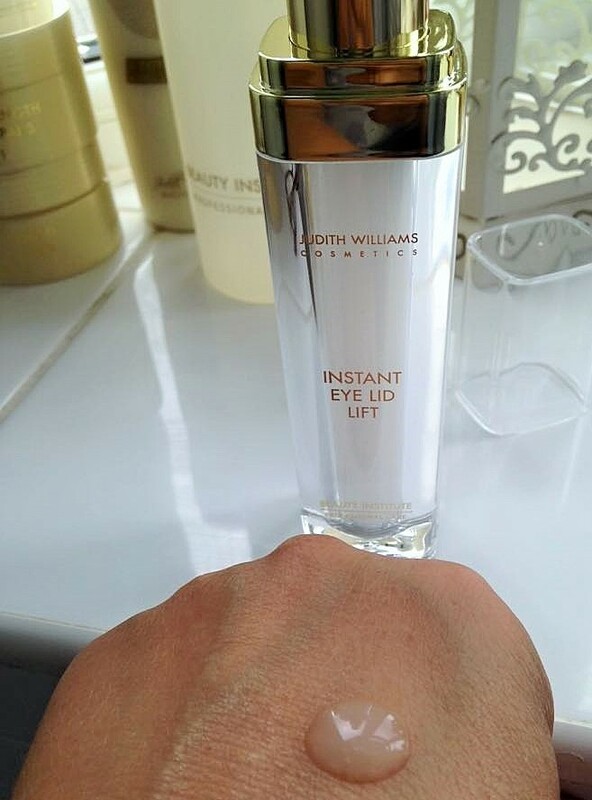 To Use prime the bottle a few times by pressing the pump, then gently tap the lightweight serum around the eye area. This really is amazing! On me it immediately lifted, my hooded eyes and made them look less puffy. I was absolutely astounded. A little goes a long way with this product, one measured pump is more than enough. I gently patted this in with my ring finger and used a very light lifting action on my eyelids too. This bottle will last such a long time, and the effect is stunning. Definitely a re-purchase for me. 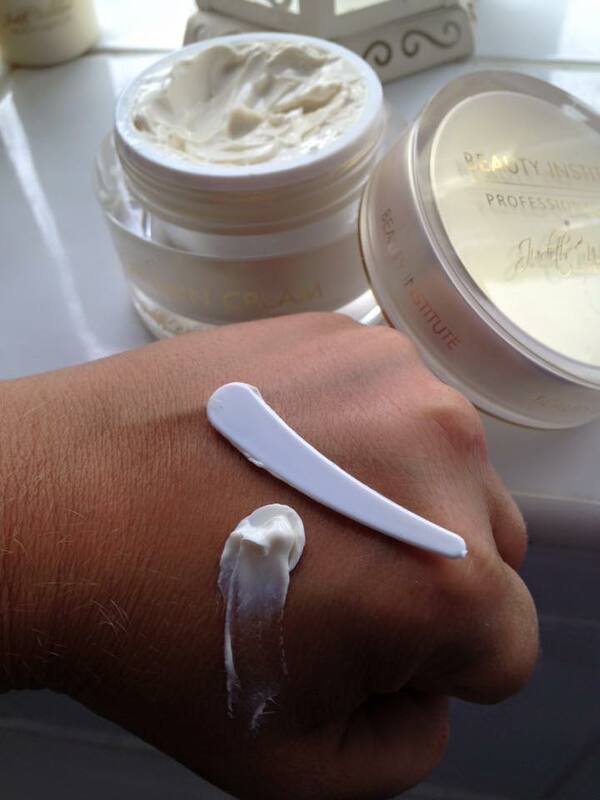 *SUPERIOR FACE CREAM SPF 15 – This pot is huge! 100ML in fact and the value for money is outstanding. A stunning, rich, cream containing an SPF 15 full of anti-ageing ingredient’s and highly concentrated plant extracts which leave the skin gorgeously plumped, nourished, balanced and perfectly hydrated. This was amazing at calming and brightening my skin after the Glycolic pad treatment. I adored this moisturiser! Definitely one to restock up on and also I believe a fabulous one to use in winter. 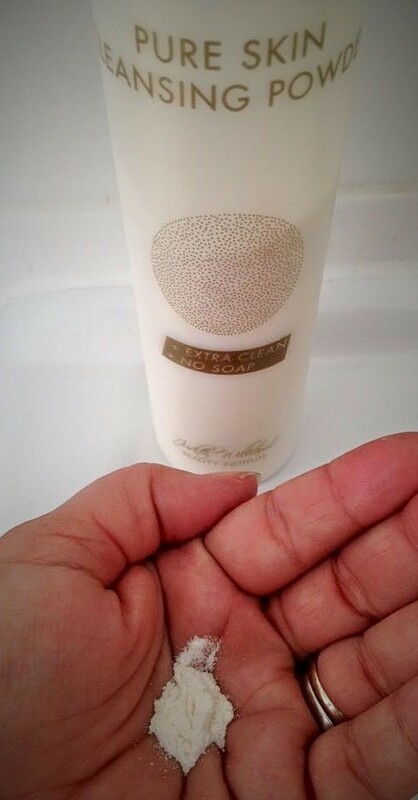 If you have a stressed or mature skin that needs some extra love, this cream is perfect. It also protects your skin against harmful rays from your computer screen, a plus for me! Inside the lid you will see a tiny spatula, using that to get out the product will not only keep it clean, but also stop overuse. Spread the rich, dairy cream textured product over your face, neck and décolleté, any leftover I put on the back of my hands. I simply adore it. 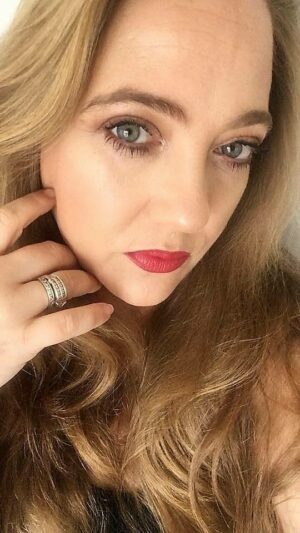 Judith Williams is a professional Beauty Skincare brand, you may have read a previous blog I wrote about Judith’s Future Skin Products HERE . I have been using this hard working, amazing value brand for years and it never fails to deliver beautiful, healthy looking skin. If you have not have heard of Judith Williams products yet, she can be found in the UK on the number one shopping channel, QVCUK, this makes her products highly exclusive, and more importantly, affordable as there are no costly over heads to think about. As a mother of two little girls, she is aware of the less privileged and organises charity events on behalf of non-profit making organisations. She was also recently named ambassador for the SOS Children’s Village. Judith has had amazing success of high quality cosmetics in Germany, where she lives with her family, making her one of the most popular brands in German TV-shopping. Judith has successfully presented her cosmetic range on the UK’s top TV shopping channel, QVC since 2009 and really does have a range for every skin type within her brand. These products will be available on QVCUK From 3rd August 2015 where over three consecutive days, there will be a Judith Williams Mini Series. Showcasing lots of different products for every age and skin type. I highly recommend trying this range. Also available on Judith Williams website www.curabeauty.com I would love to hear your thoughts! 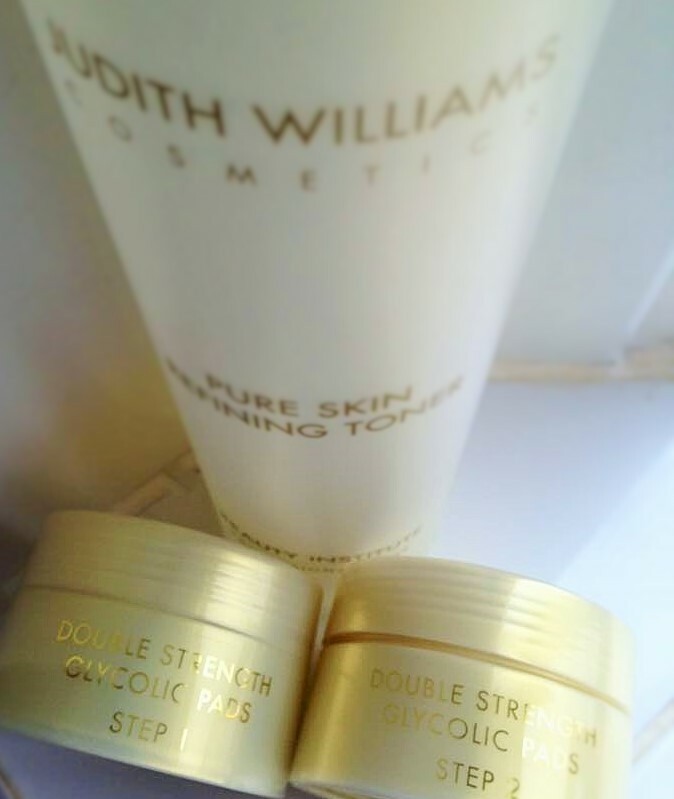 Have you tried Judith Williams other products? What are your favourites? Please let me know!